I do realise that the minute anyone mentions ‘anchovy’, a myriad of facial expressions present themselves, from pure delight to utter horror. I was, for the longest time, in the latter category, but then my taste buds grew up. I don’t think I’m quite ready to eat them straight out the jar, in a nicoise for example, but in a dressing such as this, they are sublime. The thing about the anchovy is that it forms a ‘base’ taste….a level of saltiness that you cannot get from salt, if that makes sense. Add them to most dishes while cooking and you will taste the difference. I first experienced this salad at a shoot here in New York. We had ordered lunch from a well known establishment called ‘Wichcraft. Best breakfasts, and mighty good sandwiches. 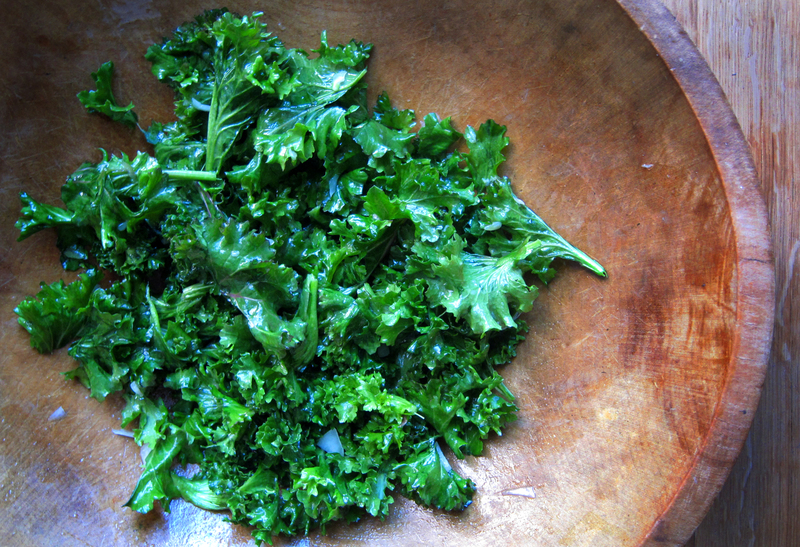 But along came this kale salad, purely by accident, and I was addicted. It became my breakfast and lunch, every day, for a week. I’m still not sick of it. I got the recipe from one of my favourite blogs, FOOD52. They in turn got it from ‘Wichcraft, and I have a feeling it’s going to become one of those standard recipes that just carry on forever. I won’t regurgitate the recipe because the ladies at FOOD52 do a magnificent job, and you can get it here, but please take note when they ask you to do things like massage the onions and fresh thyme with a large pinch of salt, and to leave for 10 minutes. And especially take note to literally massage the kale leaves with the vinaigrette. The longer you leave this salad to absorb the vinaigrette flavours, the better it will be, hence making it an excellent salad for parties. 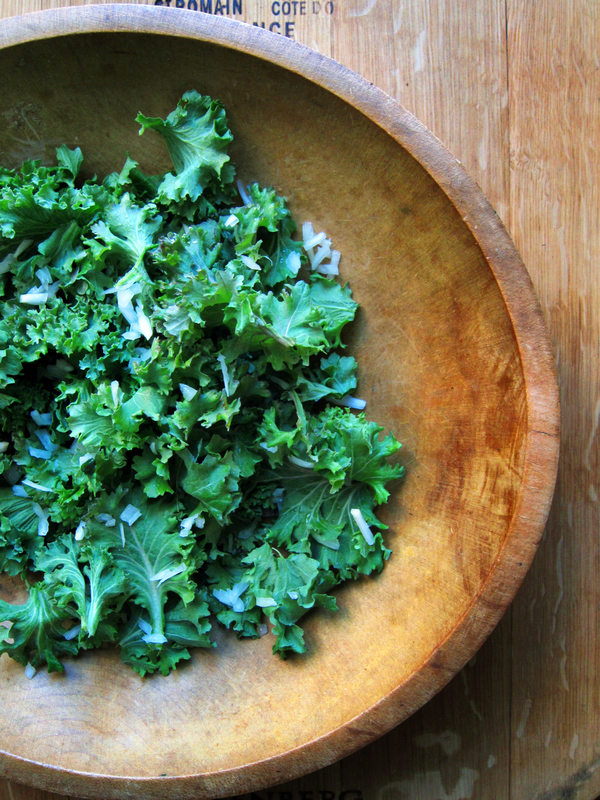 If, for some reason, you can’t find kale, you can use spinach or swiss chard….or any other hearty green leaf.